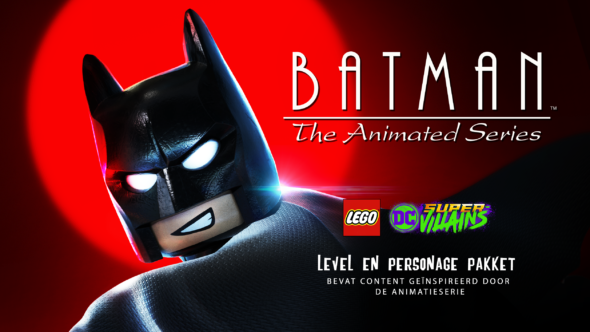 Publisher Warner Bros. Interactive Entertainment has released the Batman: The Animated Series level package, for the LEGO DC Super Villains. The package honors Batman’s 80th birthday and adds a new crime-fighting level. The Animated Series is an Emmy wining series, renowned for its firm-noir aesthetics, its intelligent and complex narrative and stylized presentation. Players can now walk the streets of Gotham City with seven new characters, who’s origin was famously modernized in the Animated Series, including The Phantasm, Captain Clown, Man-Bat, Mad-Hatter, Batman, The Joker and Harley Quinn. For more information, be sure to check out their official website, here. Or you can join the discussion on Youtube, Facebook, Instagram and Twitter with hashtags #Batman80 and #LongLiveTheBat.